To celebrate this landmark year, HANSON launched the "Middle Of Everywhere 25th Anniversary World Tour," alongside a new greatest hits collection of the same name, which included single "I Was Born," infusing a piece of the future into the year's reflective projects. The year concluded with a special Christmas album release and tour for the group's Finally It's Christmas album, which was among the most successful Christmas releases of 2017. 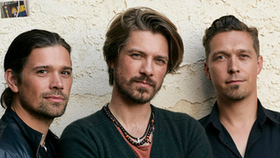 The projects were some of HANSON's most successful of their career, with sold-out concerts in Europe, North America, Latin America, Australia and New Zealand, highlighting their staying power and still strong connection with fans, a quarter century after they began in Tulsa, Oklahoma. As the band embarks on their 26th year performing together they have set their sites on musical projects that break new ground. Echoing the aspirational qualities of the single "I Was Born", the group is still driven by a sense of purpose and optimism, which imbues every part of their career and continues to attract new and old fans alike. Founded in 1992 at ages 11, nine and six, brothers Isaac, Taylor and Zac spent their first five years building a fanbase as an independent band in Tulsa, OK, performing both classic rock ‘n' roll and soul music and their own original material, to form their own unique blend of harmony-driven, soulful pop-rock. This unlikely focus was forged by an early introduction to music from the 1950's and early 60's, with the young brothers citing influences from Aretha Franklin to Otis Redding, The Beatles, Elvis, Little Richard and Chuck Berry. These influences formed the bedrock of their musical inspiration, helping to forge their signature sound which incorporated strong melodies and song craft, as well as reverence for their musical forefathers. After five years and two independent albums, HANSON released their major label debut in 1997, and saw a meteoric rise with the international smash single "Mmmbop" from the album Middle Of Nowhere, which garnered multiple Grammy nominations and five consecutive top 40 singles, including "Where's The Love," "I Will Come To You" and "Weird". Continuing the momentum with their critically acclaimed sophomore release This Time Around, more hit singles and extensive touring deepened the band's connection with their fans, and helped to cement their place as one of the world's leading artists. After a record label merger nearly derailed the release of their second album, in 2003 HANSON decided to found their own independent 3CG Records. The decision to form the label was ahead of its time with few high level mainstream artists choosing to self release, but with the new label the band was able to establish stability in a very turbulent music business, starting a new era for themselves. 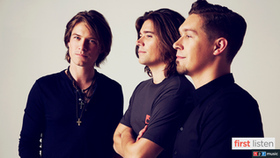 Their first independent release, Underneath in 2004, was a #1 Billboard Independent Album, and helped establish HANSON as one of the most successful independent bands to date. Since then HANSON has released 3 more studio albums, The Walk, Shout It Out, and ANTHEM, as well as an ongoing stream of special products and live albums through their label, and toured the world, continuing to focus on cultivating a vibrant global fanbase. The group has sold over 16 million albums to date. In 2007, they launched a grassroots campaign to help combat poverty and provide HIV/AIDS relief in Africa (TakeTheWalk.net), hosting one-mile barefoot walks with thousands of individuals committed to the cause. In 2013, the group diversified its brand with the founding of their Hanson Brothers Beer Company, and in 2014 established The Hop Jam Beer and Music Festival, based in their hometown of Tulsa, OK, which brings artists and brewers from all over the world to one of the country's leading Craft Beer and Music Festivals with 40,000 in attendance. 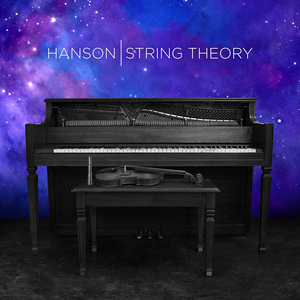 HANSON has never been driven by trends or fame, but instead is fueled by the personal drive to create great art, inspire connection and cultivate community. Those qualities are at the root of the band's longevity and lasting connection with fans.